Coming from a large family, much of my mom’s adult life has been spent attending and co-hosting bridal showers, baby showers and potluck events. I remember helping mom prepare her classic deviled eggs for numerous family gatherings. My job was to add the sprinkle of Paprika to the top of the eggs. 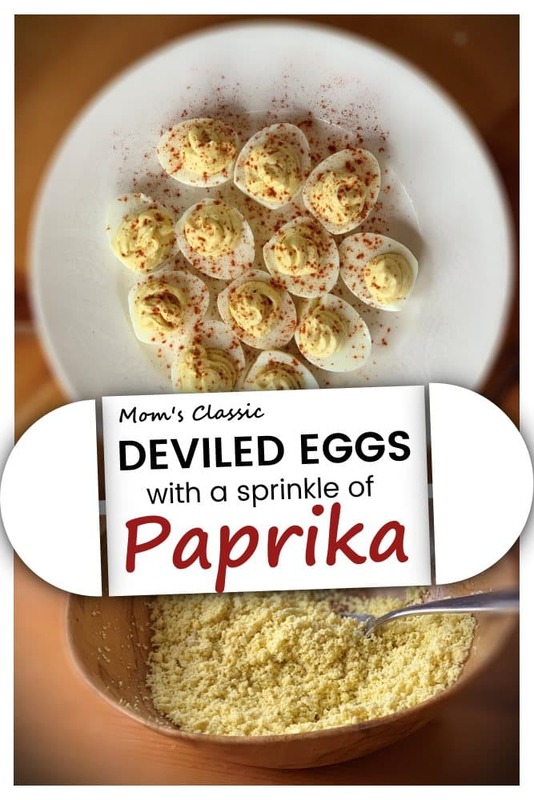 Mom’s deviled egg recipe was hard to get out of her because it’s one of those recipes she doesn’t have written down. But it’s also one of those recipes that just doesn’t taste right unless you make it like “Mom’s”. So, I worked with her to get the recipe documented for future generations. Confession: This recipe is slightly different from my Mom’s, because I used the help of my Instant Pot to hard boil my eggs first. If you own an instant pot I don’t know why you wouldn’t use it to hard boil your eggs… click here to read the instructions on hard boiling your eggs in the Instant Pot. My mom uses a pot of water on the stove, some people might use their egg cooker – I think it’s safe to say there is more than one way to hard boil an egg. Stir in the Miracle whip, mustard and pickle juice until it is smooth. 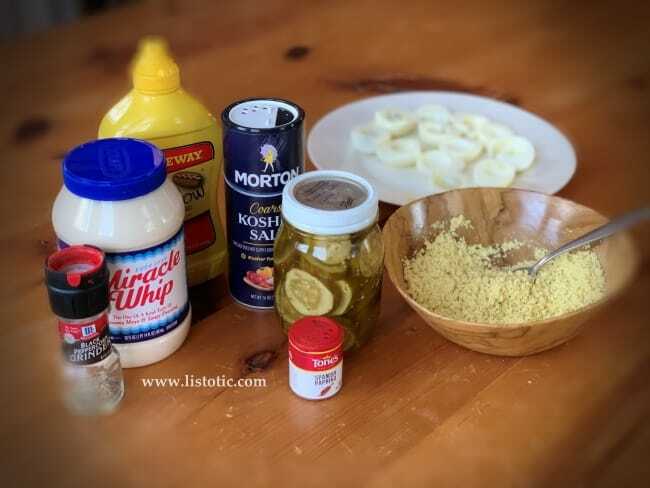 When adding the liquid of the pickle juice – only add a little at a time so the filling doesn’t get too runny. Add more pickle juice if you think the filling is too thick. Mom Notes: Taste test the filling at this point to see if you need to make any adjustments. You have two options for filling the egg white half’s…. A. Use a tablespoon and place a dollop of the filling in each half. OR B. Use a zip lock to pipe the filling into the egg whites. 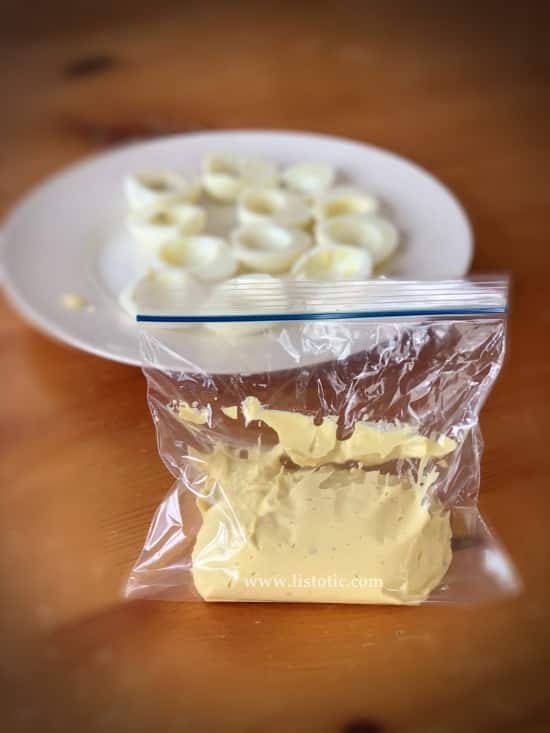 I prefer piping the filling in with a zip lock baggie because I have more control over the amount of filling for each egg; plus makes a fancier presentation. 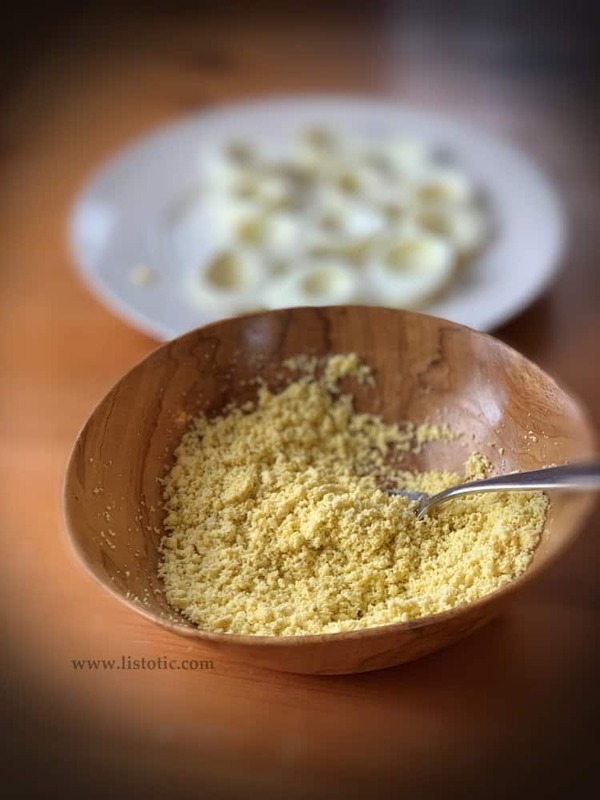 Mom Notes: Some recipes say you can crumble and mix all your ingredients right in the sandwich bag to save some dishes… but Mom doesn’t like that method because it’s harder to get the yolk crumbled well and you might end up with a lumpy filling or large chunks of yolk in your deviled egg filling. To easily fill your zip lock sandwich bag with filling use a glass as a holder for the bag. Scoop all of the filing in to the base of the zip lock bag squeezing out excess air before sealing. Cut off the corner tip of the baggie and squeeze filling out evenly into the white egg cups. If you do not think there will be any leftovers from the event you plan to serve deviled eggs you can make them up to 3 days before but for best results 1 day ahead would taste the best and still give you a couple days for any leftovers. How to Transport Deviled Eggs? 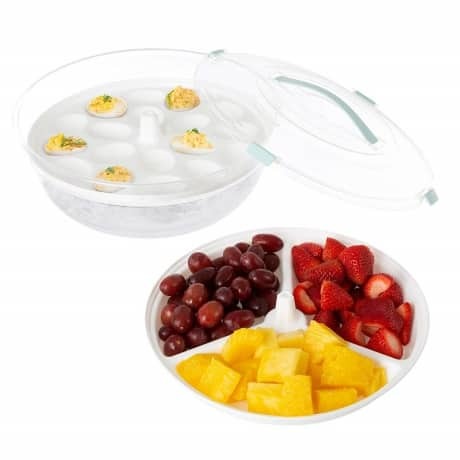 Whoever came up with the original idea of a boat shaped Deviled Eggs was not thinking about the fact that we need to load these slippery babies up on a tray and travel to our in-laws without them rolling out of the tray and ending up all over the backseat of the car. 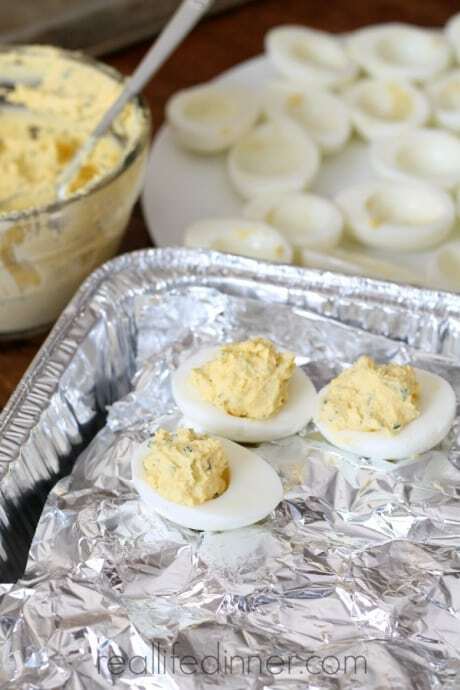 Here are some great options how to transport deviled eggs. 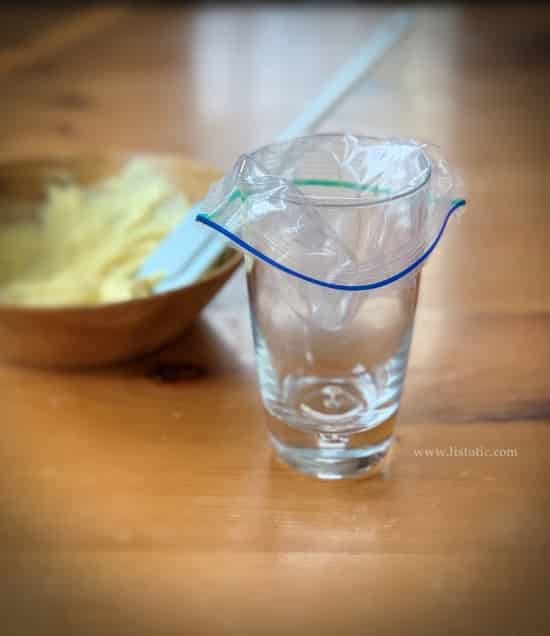 This is a brilliant idea on reallifedinner.com on how to quickly create a deviled egg carrier out of materials you have laying around your kitchen or in your recycling bin. Check it out! I found another fabulous idea on how to transport your deviled eggs using the egg carton and some household items. Hop over to the site kittycooks.com to see how it’s done. 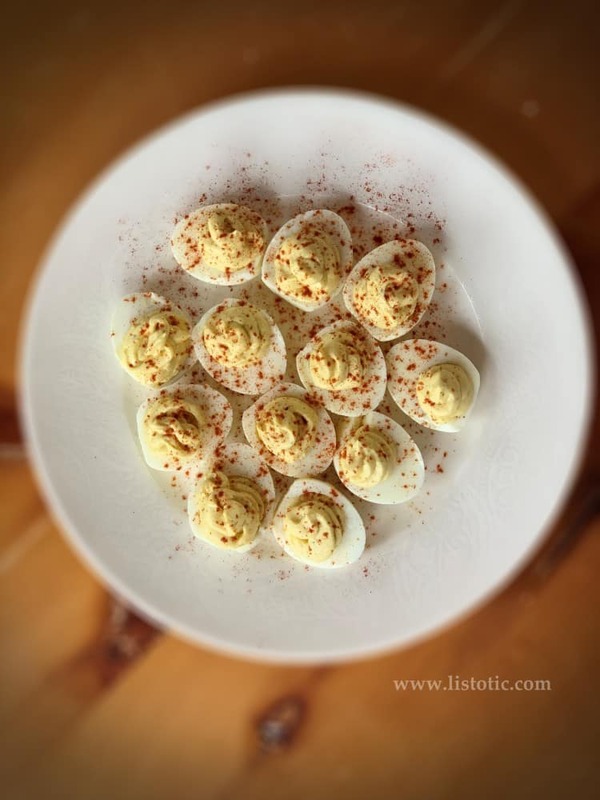 Are Deviled Eggs Low Carb? Deviled Egg recipes like this one are traditionally low in carbs. 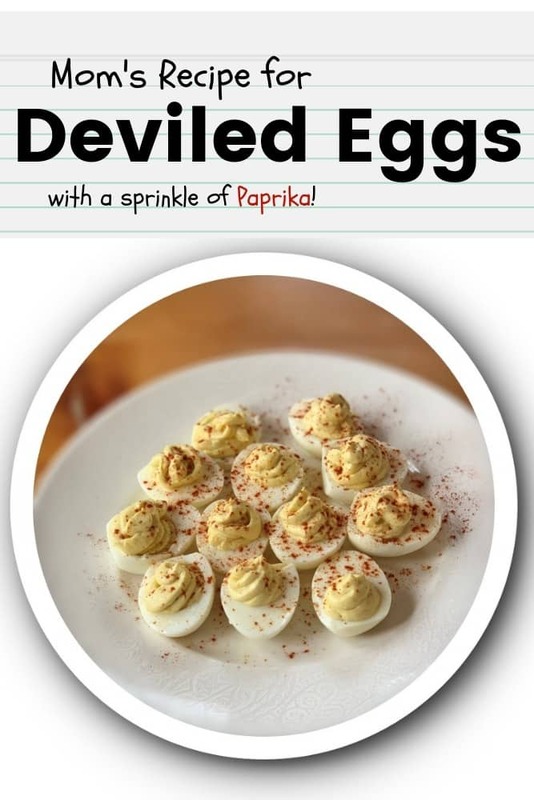 There is less than half of 1 net carb in most Deviled eggs recipes. Are Deviled Eggs Gluten Free? Yes, you can make deviled eggs entirely with gluten free ingredients. The ingredients listed in this recipe are all considered gluten-free by their label but the packaging does not state that they are certified gluten free so if you are highly sensitive to gluten it is best to swap the ingredients for products that are clearly marked as certified gluten free products. The theglutenfreebar.com has more information on products I have used in this recipe. 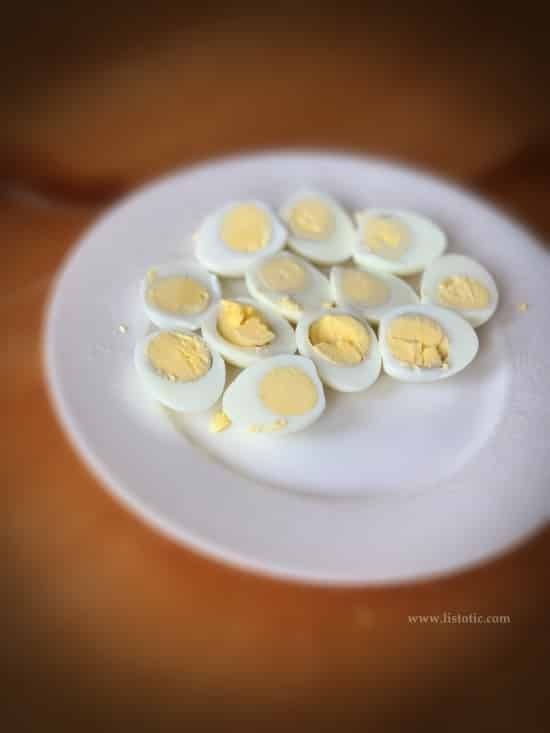 Are Deviled Eggs Keto friendly? Yes Deviled Eggs are a great Keto friendly food with less than one net carb. Eggs & mayonnaise are considered vital ingredients to a ketogenic diet. 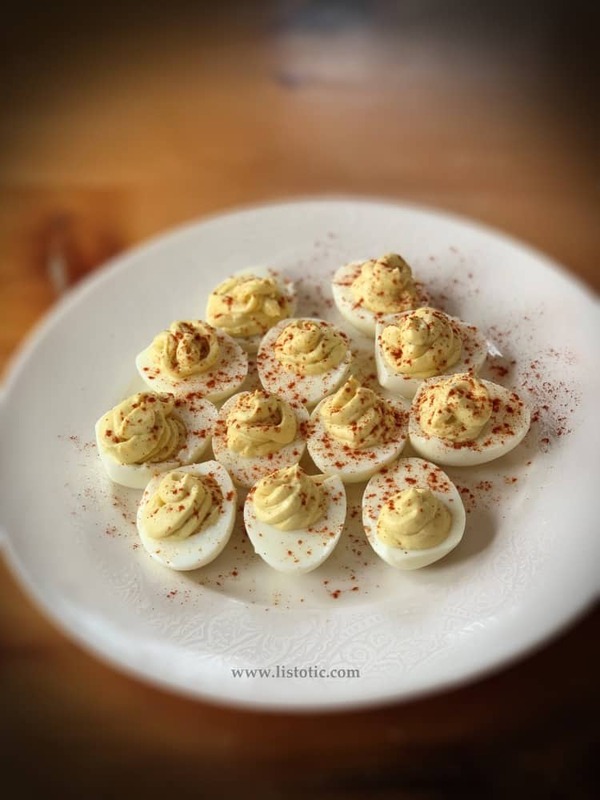 If you are looking for a keto snack deviled eggs should be on your list there are tons of great ways to change up the classic deviled egg recipe by adding bacon or avocado. 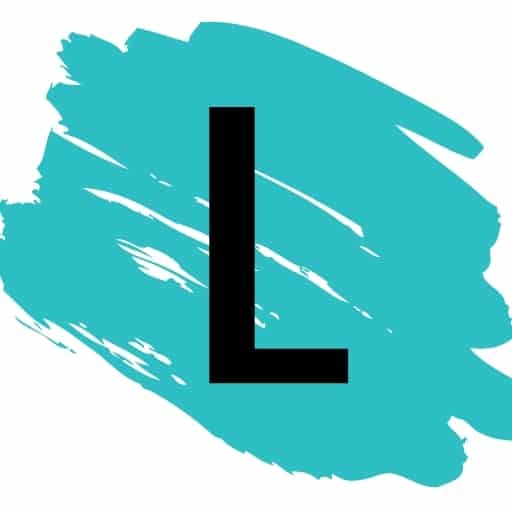 If you are looking for more low carb and keto friendly snacks check out the Listotic Low Carb Recipes – Pinterest board with hundreds of ideas.